Ideal for expectant mums, parents with newborns and families with baby-in-arms of any age. 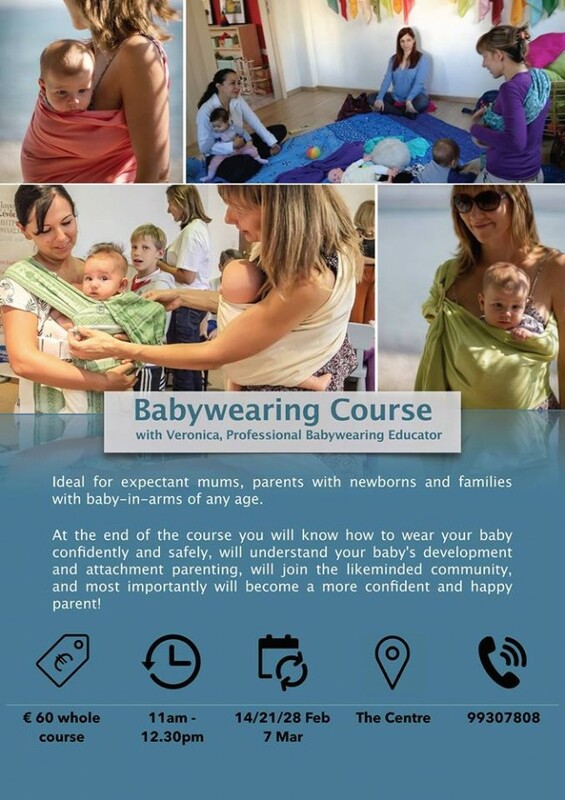 All members of this course will be automatically subscribed to the secret Facebook group where they will get additional information about the topics discussed on this course, will receive daily feedback while practicing babywearing at home and will get access to the lovely community of likeminded mums and dads. Most importantly, at the end of this course you will feel more confident and happy as a parent! Veronica is a Professional Babywearing Educator registered with the School of Babywearing UK. She has done more than 10,000 hours babywearing her own four kids as well as plenty of hours teaching and training new and experienced mums alike in Cyprus and abroad. To reserve your space please contact Kroshka Slings directly via FB messenger or call Veronica 99307808.